Our meeting is on Wednesday, April 10 at 6:30. We will be looking at Education this month! Our speaker will be Charda Fontenot, who was elected last year to the La Mesa-Spring Valley School District. We also hope to have one of the Trustees of the Lemon Grove District also. Please join us to learn more about the current and future of our next generation of community members. Our location is Monte Vista Village, 2211 Massachusetts Ave, Lemon Grove, CA 91945. We will be meeting in the Dining Hall, which is near the long driveway you can see from Massachusetts Ave. You can park in the driveway or on the street. Much of the progressive change throughout San Diego County can be traced directly or indirectly through the work of our San Diego Democrats for Equality members. On Saturday, May 4th, let’s celebrate the work our members have done to spur on that progressive change, as well as some of our recent leadership transitions and accomplishments. Take a second and join as a member of our Host Committee for $150! Through the contributions of our Host Committee and brunch tickets, we’ve set a fundraising goal of $2,500 in support of our club’s mission and goals. If you’re unable to attend, please make a donation instead! We will be conducting an installation for our club’s officers, as well as discussing the issue of clean elections for our next meeting on Tuesday, April 9th! Speakers John Hartley and James McCord will discuss those efforts happening locally and statewide. 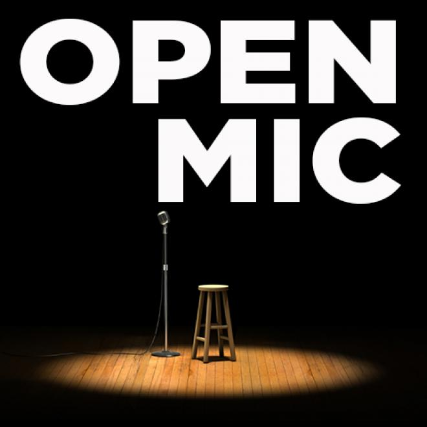 ​​​​​​​Also, we will hold a Candidate Open Mic Night! Any Democratic candidate running in 2020 is welcome to speak in increments of 5 mins max (Candidates or representative must sign up at entry and allow 3 candidates to speak before a second turn). This will allow them time to try new material, platform, pitch or share thoughts on their campaign. Finally, the county party’s 39th Annual Roosevelt Dinner is coming up on Saturday, May 11th. We’ve put together a fantastic basket to be bid on at the dinner. If you’d like to attend and sit with our club, purchase your tickets here and let them know you’d like to sit with the Clairemont Democratic Club! If you have suggestions or ideas about meeting topics or event types that you’d like us to host, please email them to me or visit our Facebook page. It is our shared responsibility to ensure that people are informed, educated, and not mystified by stage craft, economic bribery or the feeling of helplessness. 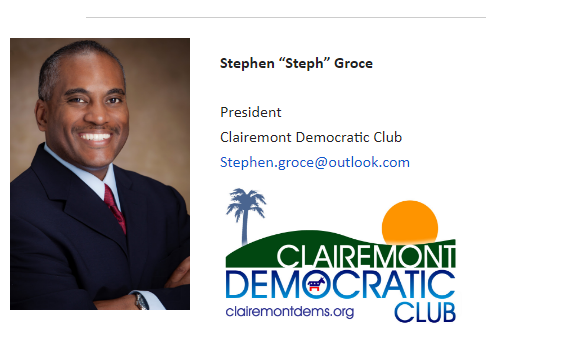 We have so many exciting things in store for our Clairemont Democratic Club members. We look forward to seeing each and every one of you at one (but hopefully all) of our meetings and events. Budgets, Bylaws, Brunch, and Pandas! Fox News the other day apparently informed us that there are 3 more “Mexican” countries. It was from a segment regarding the Trump administration no longer providing foreign assistance to El Salvador, Guatemala, and Honduras. Their “lower third” graphic referred to these three individual countries as “Mexican” countries. I would post the screen grab of it, but then I’d have to subject myself to watching their adoringly pro-Trump coverage in order to do it — and, quite frankly, I’d sooner save myself the trouble. Actually, the fun part about their obvious error is taking a brief look at the number of individuals it took for them not to catch this. Here, you’ll likely have the director of the television program, the assistant director, a technical director, audio personnel, and more often than not, the producer of said program. For a national broadcast channel like Fox News, possibly executive producers as well. Within this crowded production room, you’ll also have at least someone responsible for operating the character generator software for the “lower third” portion of the TV screen. So, yes — a room full of highly-skilled and seemingly knowledgeable individuals failed to catch probably the biggest geographical slip-up on live television in recent memory. Or, they could all be clueless Cro Magnons who think anyone who speaks Spanish is simply “Mexican” — despite Spanish being the official language of 21 individual countries, and a significant language in 3 other countries. Altogether, over a half-billion people around the world speak Spanish. The fact that a room full of people at Fox News did not know this tells me something. There’s a word for that… oh, yes: know-nothings. There’s a word for that in Spanish, too… oh, yes: pendejos. Speaking of know-nothings on more positive topic, if you have no idea how budgeting works for the County of San Diego, there’s an opportunity to learn this week! At last — we are ready to announce Our Members Make History: A Celebration Brunch, an upcoming fundraising brunch for the club on Saturday, May 4th from 10:00am to Noon. Our amazing VP for Political Action Susan Guinn and her spouse Denice Feldhaus will host at their home. We are happy to say that a number of our amazing LGBT elected officials will be there, including Senate President pro Tempore Toni Atkins, Assembly Majority Whip Todd Gloria, Council President Georgette Gomez, Chula Vista Councilmember Steve Padilla, and Encinitas Councilmember Joe Mosca, among others. This is our club’s first fundraiser as your new Club President, and I would like to see this be a success. We’ve set what I feel is an attainable fundraising goal of $2,500 for this event. I am not a professional fundraiser by trade, so making these asks are a little new to me. So, please bear with me. Unfortunately, Bai Yun and her son Xiao Liwu will be moving back to China at the end of the month. Since 1996, the San Diego Zoo has led an extensive conservation effort for these beautiful bears. If you have not had an opportunity to check out these amazing animals, you may want to before April 27th. If you’re super jealous, then I’d hate to share that Toni Atkins actually got to feed her. Of course, now that I’ve said that — I have to share that picture.